Welcome to the Swimming Pool series, my take on Palm Springs swimming pools. 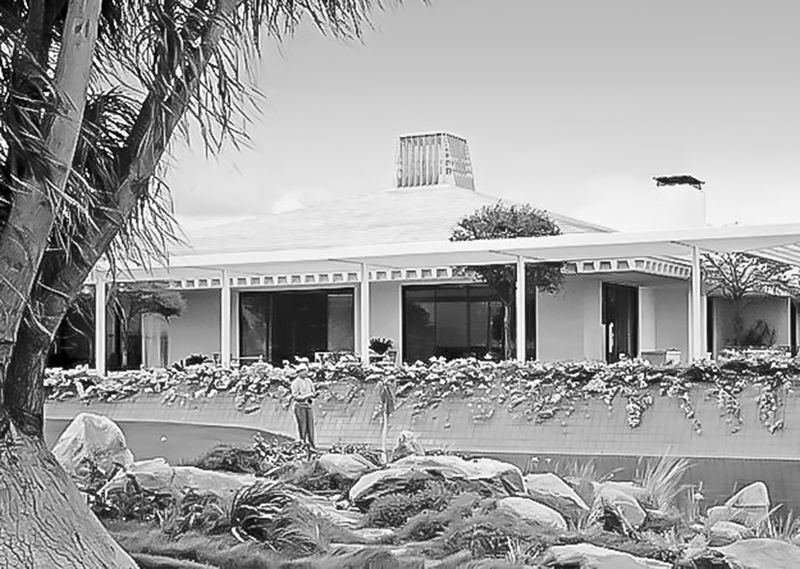 They are honoring a great photography exhibit, Backyard Oasis, at the Palm Springs Art Museum includes photographs of all kinds of swimming pools, many of them a part of mid-century modern architecture. After living here for 12 years, my swimming pool collection has grown. In this blog-post set I give you ten swimming pools. Make sure you check out the ones at the museum, which depict celebrity life pool-side. Don't miss Rock Hudson and Marilyn Monroe who lounge around (or shall I say pose) in and around the swimming pool. 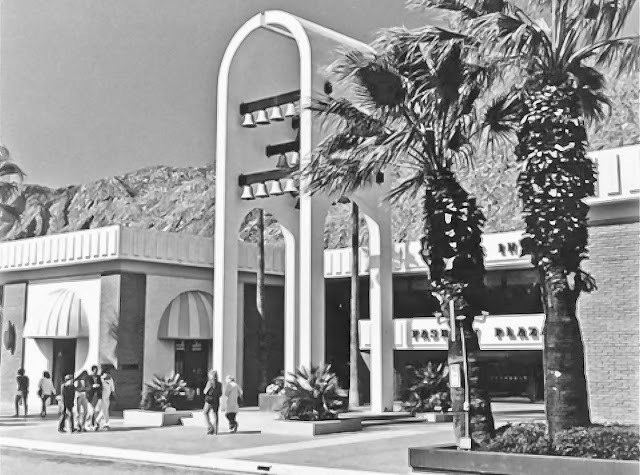 Today the Desert Fashion Plaza, an old, empty building that's been sitting around vacant for years on the prime corner of downtown Palm Springs at Tahquitz and Palm Canyon went under a christening of its destruction. It was the initial demolition of the horrid property that's been annoying city residents and officials seemingly forever. It's going to be a slow process to get the new property going--something like an opening in 2014. In the meantime, by the end of next month you will be able to see the modernist Palm Springs Art Museum from the corner of Tahquitz and Palm Canyon when the building is expected to be finished being torn down. 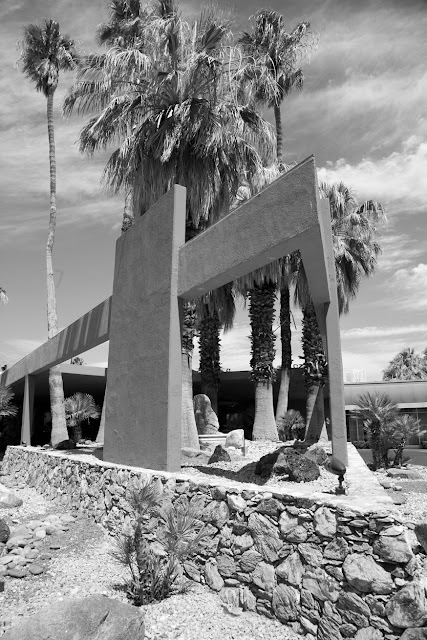 Probably the biggest 2012 event in the desert is the opening of the Sunnylands estate in Rancho Mirage. This is the former estate of Walter and Leonore Annenberg (you know the the man who started TV Guide). Their name is ubiquitous, appearing on many buildings because of the couple's well-known philanthropy efforts in the 20th Century. The cost of visiting won't be free--it's $35. My guess is it's well worth it. The big hoopla is on March 1st when it opens its doors to the public. Everybody who's anybody will be there. It's unclear as to how you get tickets. I'll know more after I get an answer to my email sent to the organization that runs the estate. 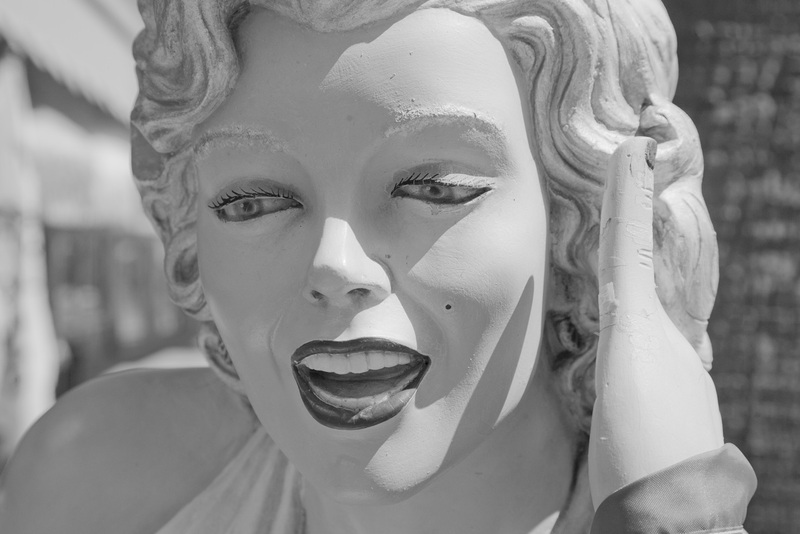 Marilyn Monroe's Death a Result of Refusing to Visit Palm Springs? Statue of Marilyn in downtown Palm Springs. 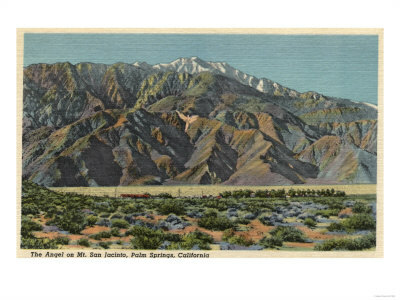 Marilyn Monroe has a unique history that involves Palm Springs. It just might be that she killed herself because she didn't come here. You see her big agent at William Morris, Johnny Hyde, introduced her to all the big directors, resulting in Marilyn acting in some very good movies. Hyde wanted Marilyn to spend the weekend with him in Palm Springs. He waited for her and she never came, stubbornly protesting the trip. He died there suddenly. Marilyn, perhaps feeling guilty, committed suicide the next day. Been working hard on my new book: Beginning HDR Photography . 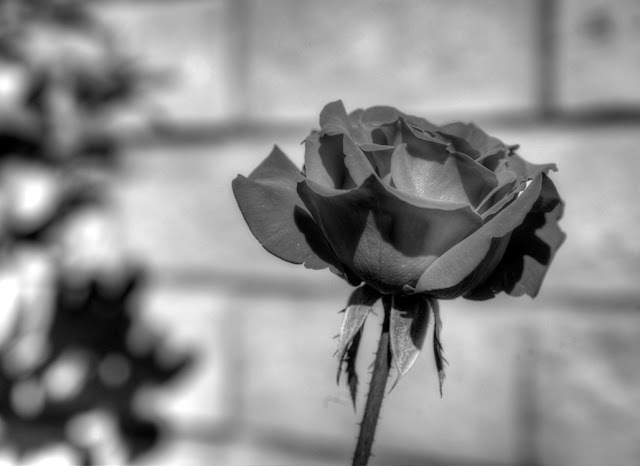 This is a black and white HDR rose. The image was taken in my backyard in the Dumuth Park area of Palm Springs. The modifications are a bit extreme, but many people like that (and many don't). This is Val Lauren, James Franco's old buddy from acting school. He plays the lead in Franco's "Sal," about a broken down gay actor who starred in "Rebel Without a Cause" with James Dean. 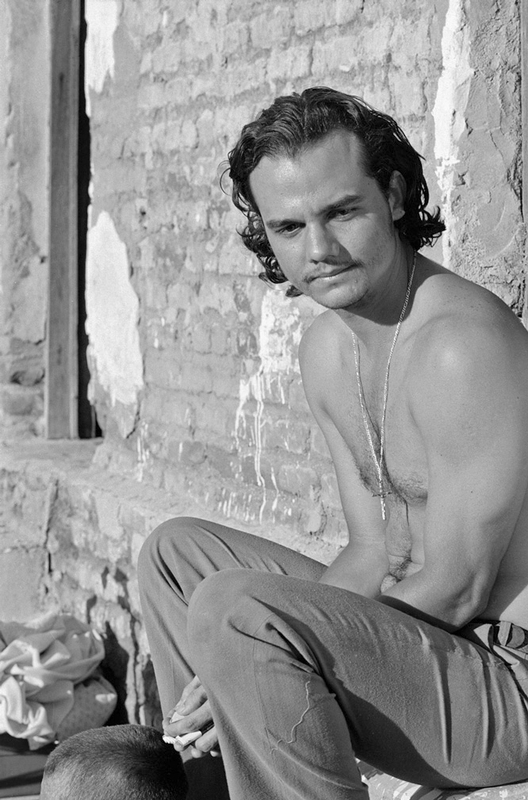 Franco directed the film, a Noir story of the last day of Sal Mineo's life. Tragic it was the movie steps through his last hours (much of them spent at the gym). He has nothing left but a one bedroom apartment after making millions of dollars two decades before. At the screening, Franco and Louren talked about how Mineo died, a random killing where he was in the wrong place at the wrong time. After spending his childhood among Columbian drug cartels, Juan David Restrepo dreamed of becoming a movie star. 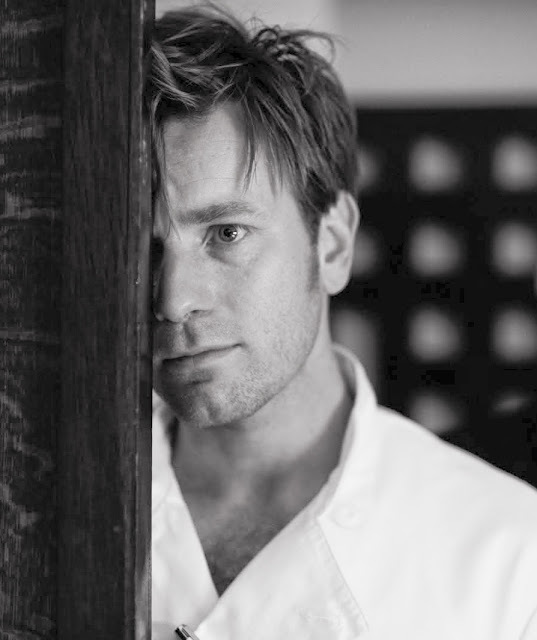 When he was acting in a school play, a talent agent discovered him and the rest was Columbian acting history. Restrepo's action role in The Squad resembles what he experienced in his childhood. Add witchcraft to that and you've got a film filled with intrigue and suspense. 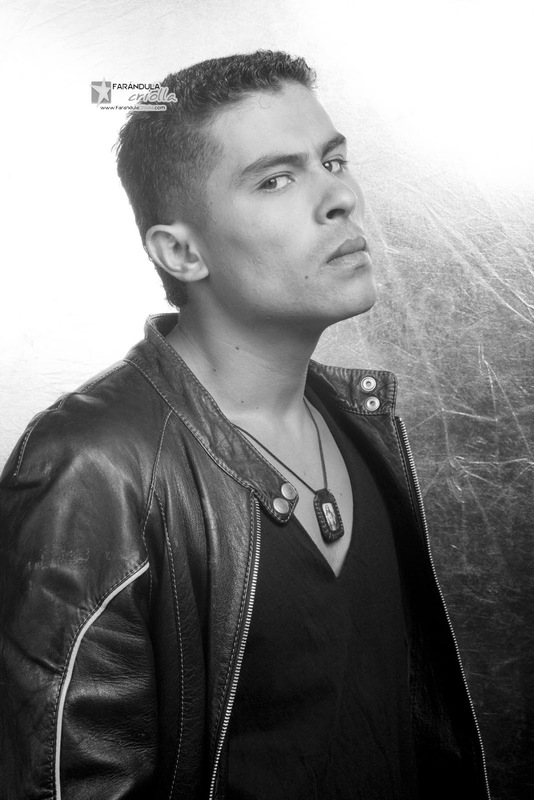 Before acting, Restrepo modeled for Diesel, a young adult clothing line. 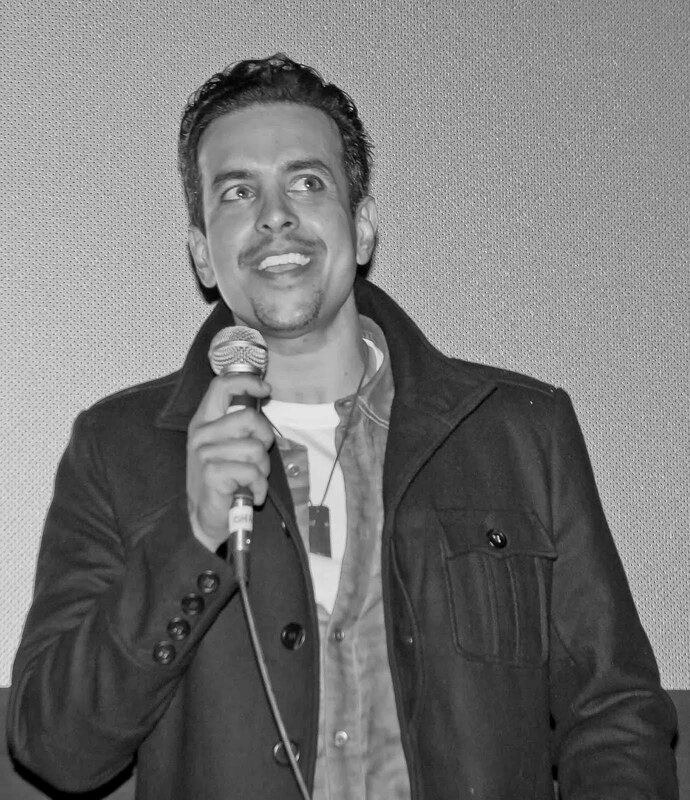 In 2000, he had his first lead role in Our Lady of the Assassins in which he plays an older man's younger romantic interest in the drug chaos of Medellín, Columbia. Here's a star to watch--Max Thieriot, 21, whose starring role in Foreverland is sure to shock, as his role has him planning his own funeral because he has Cystic Fibrosis. Thieriot, who starred in Nancy Drew in 2007, had been a model for GAP. If you go back a few generations, you'll find that his descendents owned the San Francisco Chronicle. Today's actor is Linda Cardellini who plays a woman just home from duty in Afghanistan. She's troubled at best and alienated from the world she had left behind. During her tour of duty her husband's had an affair and her only solace are her two daughters. Cardellini, 35, grew up in the Bay Area and became interested in acting at ten. One of her first roles was in the Freaks and Geeks TV series with James Franco. The actor is expecting her first child this year. This is one serious actress. You'll recognize her name if you are given a few hints. In the PS Film Fest she plays Madelyn in If I Were You, a tough, heavy-drinking businesswomen who finds out her husband isn't working late at night when he says he is. She earned a Best Supporting Actress nomination in the classic, Mystic River and won the award outright three years before that award-winning role in Polluck. At 51 years-old, she has had myriad of acting experiences from playing Ava Gardner in a Frank Sinatra movie on TV to playing Mrs. McCandless in one of my favorite movies (and book) Into the Wild, a movie which put Slab City into the country's consciousness. At last a woman actor of the day for the Palm Springs International Film Festival, and an Iranian at that! She's Leila Hatami, daughter of a well-known Iranian director, Ali Hatami. The drama of her role plays out in A Separation when her character, Simon, gets separated from her husband of 14 years so that she can leave the country to explore better opportunities for her young daughter. 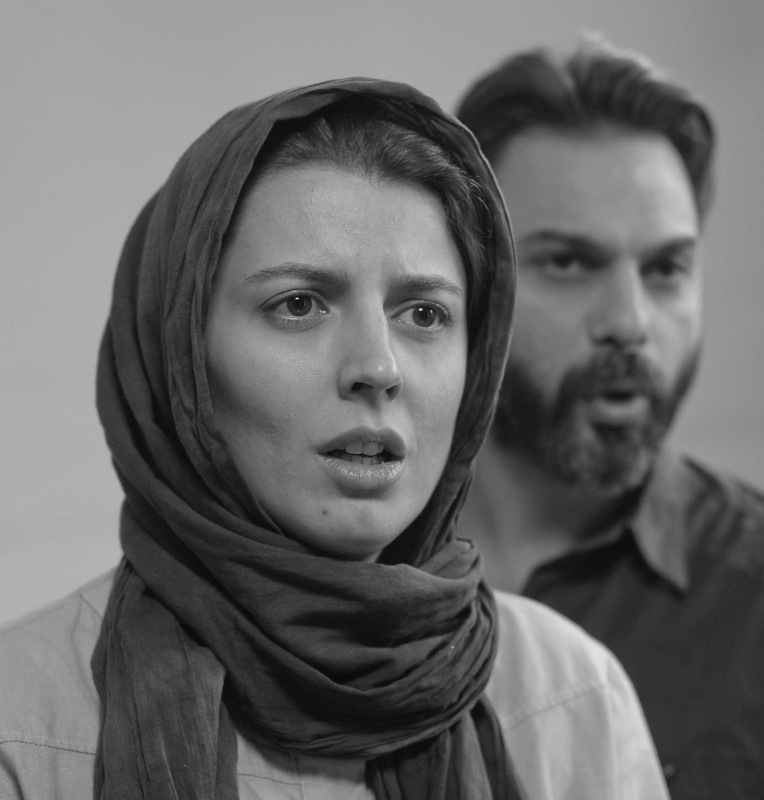 The plot grows more complicated as Simon's husband hires a woman caretaker for his father who is stricken with Alzheimer's, growing into serious legal tangles that give viewers a peek into the religion and law of Iranian culture. Why is it when I write these things I end up buying a ticket. The Film Festival roars on. 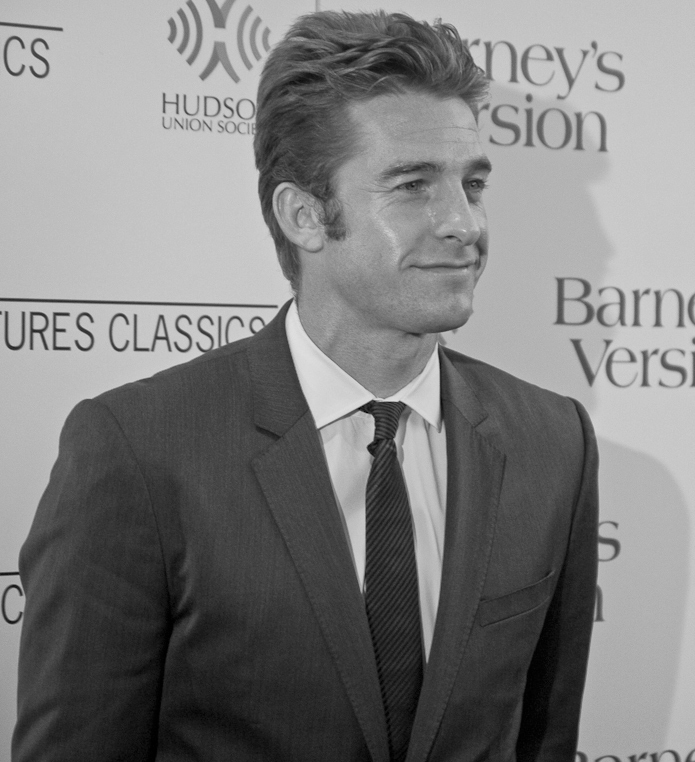 Canadian Scott Speedman stars in Edwin Boyd, a film about a World War II vet who turns to crime for a living. After a neck injury that ended his swimming career, this 36 year-old actor took up acting on a dare from his girlfriend. He starred in the TV series Felicity, which ran in the early 2000's. This movie is kind of a come back for him as he hasn't acted much since 2003. Gee, another hearthrob--this time from Brazil. Evidently, the country is hot on the homespun action movie series Elite Squad. Violence is ensured for those who like that sort of thing. Come join Wagner Moura as he takes on Rio's drug lords. On the way, you'll come to understand the complexities of that city. Latest gossip on Moura is that he's making the sci-fi film (an American one) Elysium with Matt Damon and Jodie Foster. It comes out in March, 2013. This is Matthias Schoenaerts. You probably never heard of him before because he is only well-known in Belgium. Tonight he stars in Bullhead a film about cattle farmers and testosterone, the later which is abused by the leading man, Jacky (Schoenaerts). Schoenaerts gained weight and muscle mass for the role and is said to have internalized the character. The plot sounds fascinating, but you'll have to follow the subtitles carefully on this one. This Trainspotting actor enjoys pushing the limits of sexuality onscreen. He has a tattoo of his wife and four daughters on his arm. He's the star of tonight's film Salmon Fishing in the Yemen, a highly rated film about fly fishing. The film is part of the Arabian Nights program, which is a big part of this year's film festival. Here's a sign of the opulence in Palm Springs--a three-car garage. This is in the Las Palmas neighborhood, which lies right up against Mt. San Jacinto. 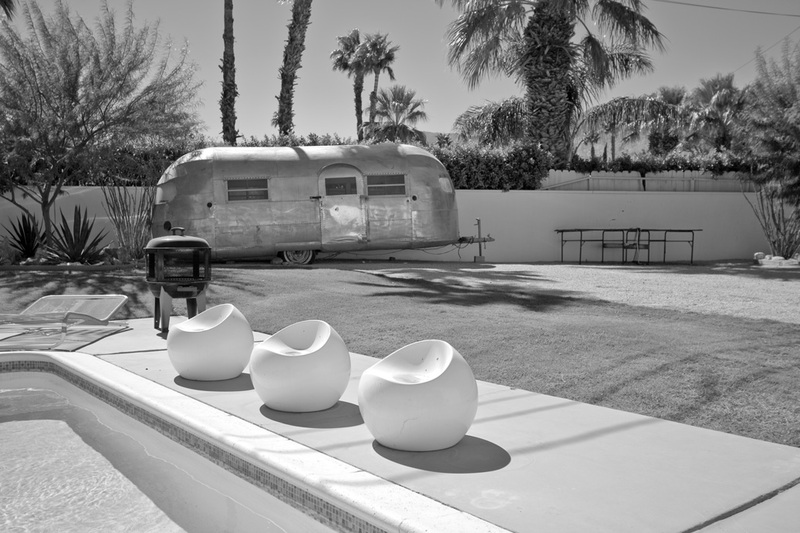 Palm Springs Daily photo is now in black and white. You can't get more retro than that. This is the old site of Leons. No more Leons at this location on Murray Canyon Road. They moved to Cathedral City last September. 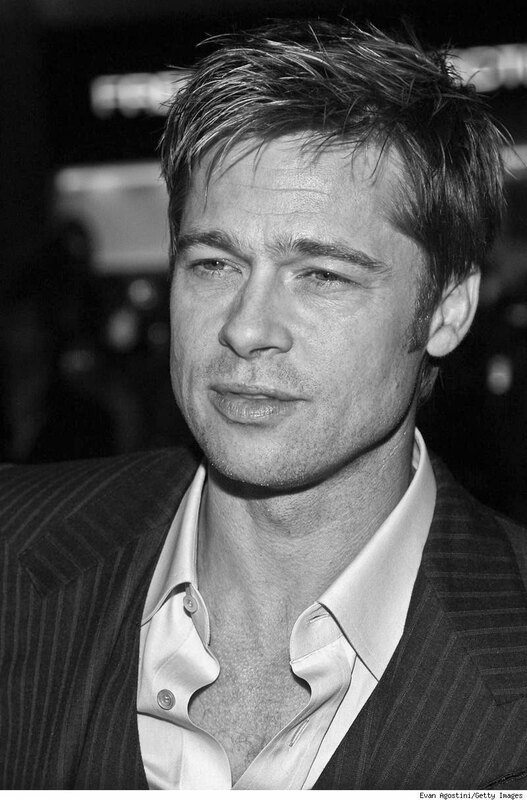 Brad Pitt's comin' to town among many other stars for the Palm Springs International Film Festival.